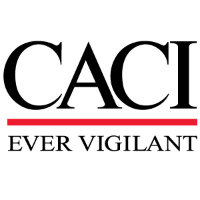 If you are working or aspiring to work in today's United States Intelligence Community...NOW is the time to join CACI has an immediate opportunity for a Senior All Source Analyst- Intelligence Planner and Integration in the Fort Meade, MD area. In this role, you will provide support in the conduct of Cyberspace Intelligence planning activities in support of USCYBERCOM missions and recommend efficient use of resources throughout all planning efforts. Duties and Responsibilities: Review and report on strategic guidance applicable to cyberspace intelligence operations. Assess Intelligence Planning and recommend production adjustments when necessary. Develop, manage and coordinate an intelligence task list that identifies the intelligence support products and designates divisions within J2 responsible for completion. Participate in Intelligence Planning Steering Groups (IPSG) to determine scope and level of intelligence planning support. Identify, coordinate and deconflict deadlines and overall scope for intelligence production requests (PR) and services. Be knowledgeable of intelligence tools and databases. We offer a competitive benefits package to include: paid holidays, paid time off, medical, dental, vision, flexible spending account, long and short term disability and company paid life insurance, 401K, employee stock purchase plan, referral bonuses and tuition reimbursement. We are proud to be an equal opportunity employer and encourage minorities, women, veterans and disabled individuals to apply. We maintain a drug-free workplace and perform pre-employment substance abuse testing to include background checks. Typically requires bachelor's degree or equivalent and seven to nine years of related experience. Must maintain active/current TS/SCI clearances. Normal demands associated with an office environment. Ability to work on computer for long periods, and communicate with individuals by telephone, email and face-to-face. Some travel may be required. May spend a lot of time standing due to laboratory conditions.